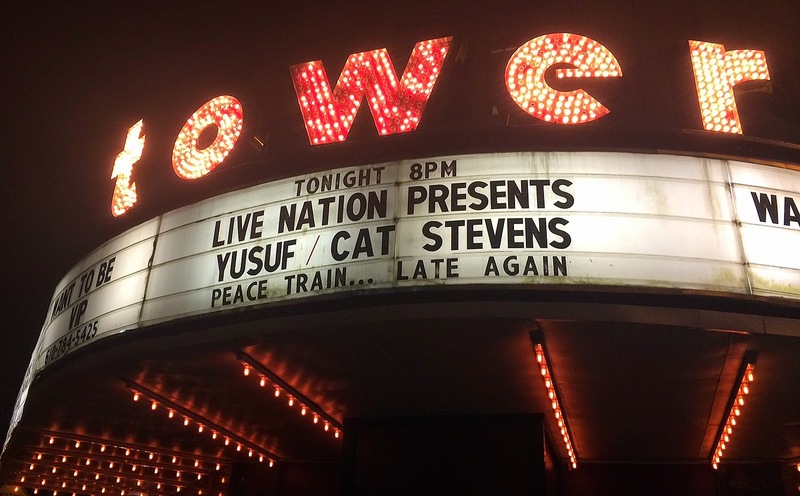 Back in 2014, the DH and I traveled to Philadelphia's Tower Theater to see Yusuf Cat Stevens play his first American concert in 35 years. (He had cancelled his NYC appearance because venues here insist on paper tickets, and he insisted on none, as a way to foil scalpers.) The concert was fantastic; he played a mix of old and new songs, his distinctive voice was exactly as I had remembered and his charm has endured. We spent the night in a lovely inn, and the next morning found ourselves at the Reading Terminal Market, a fabulous hall (reminiscent of European markets) filled with all manner of food and food vendors. And there, I scored real buttermilk (the stuff we buy in supermarkets is not real) plus a dozen double yolk eggs. I used this buttermilk in ginger cookies, and as the expiration date drew ever closer, I was fortunate to find this vintage gem for buttermilk cookies. 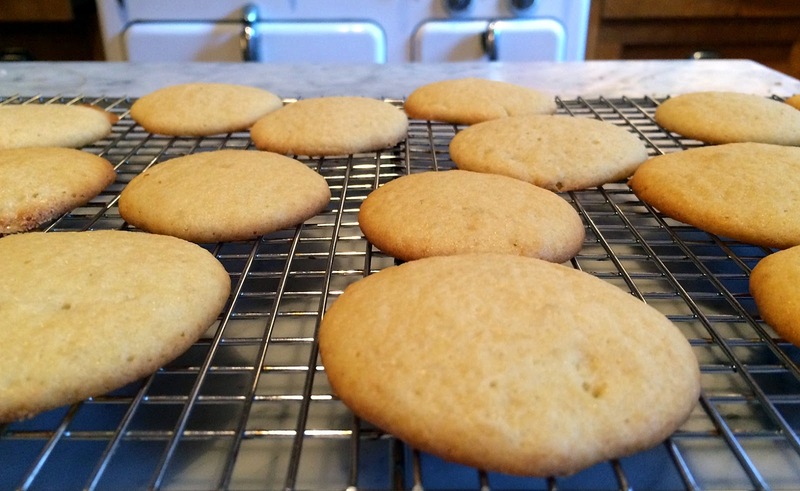 They are very easy to make, quite tender and cake-like (on account of the buttermilk) and really, really good. Like many old recipes, this one is basically a list of ingredients. 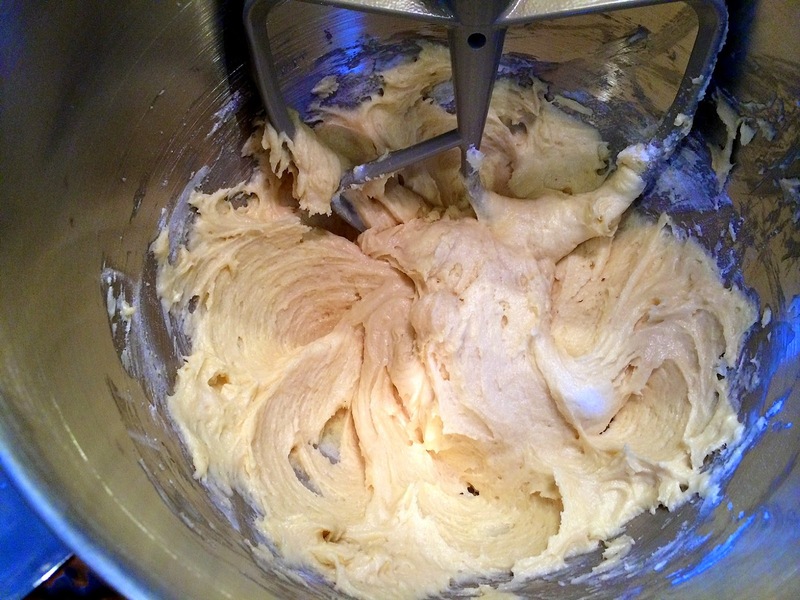 Start by creaming the butter and sugar. Add the rest of the ingredients and drop by teaspoon onto a parchment-lined baking sheet. Cool the cookies on racks. 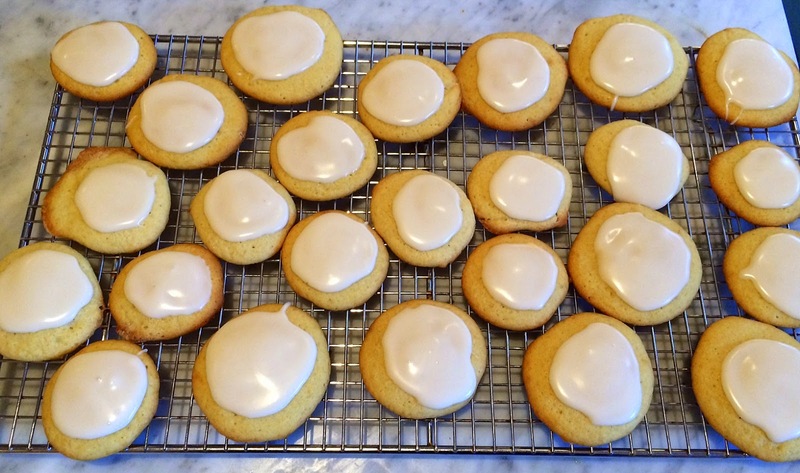 Because the cookies looked a bit too plain Jane, I mixed up some frosting -- confectioner's sugar and milk -- to give them a little pizzazz. 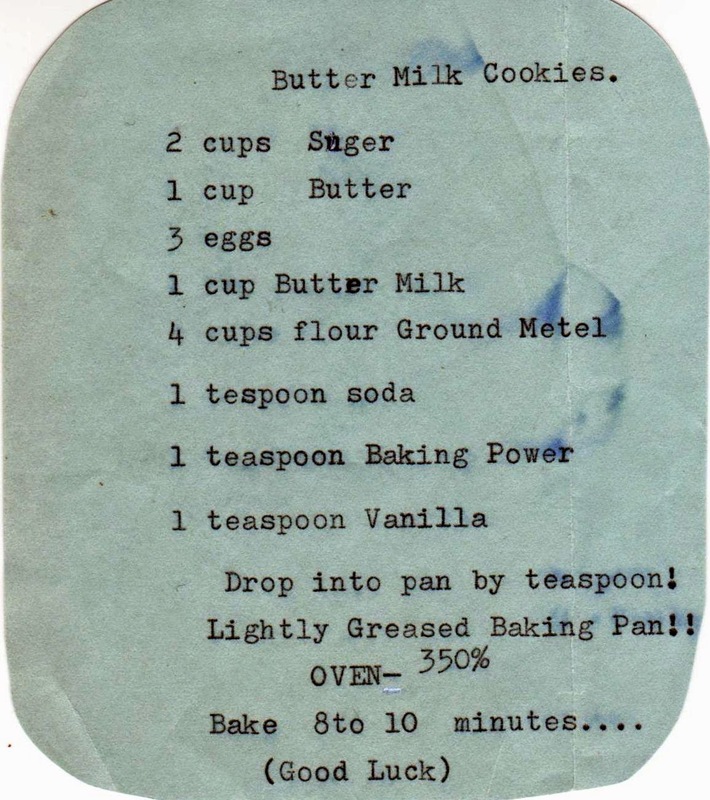 Here's the vintage recipe. I especially like the (Good Luck) at the bottom. And the Ground Metel ingredient. She must mean Gold Medal flour, I've written out the method I used, below. 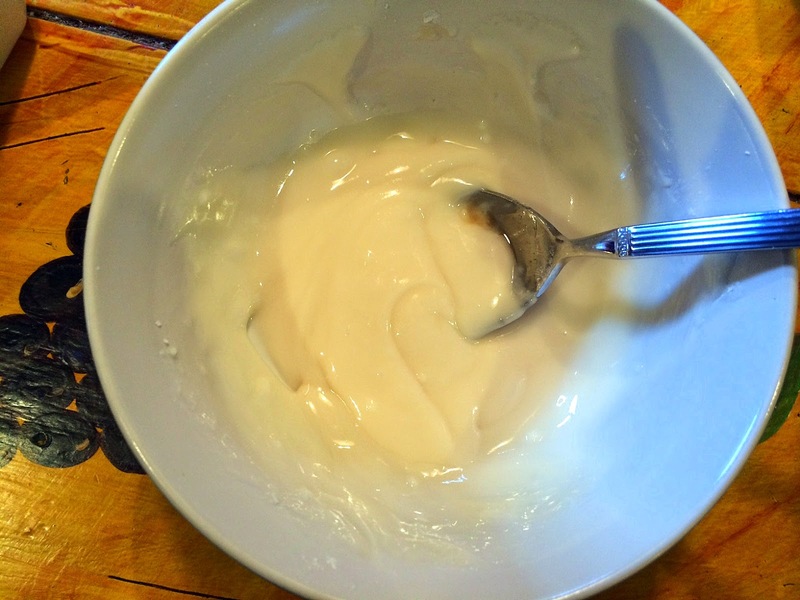 Mix flour and soda in a small bowl and add this mixture alternately with the buttermilk. 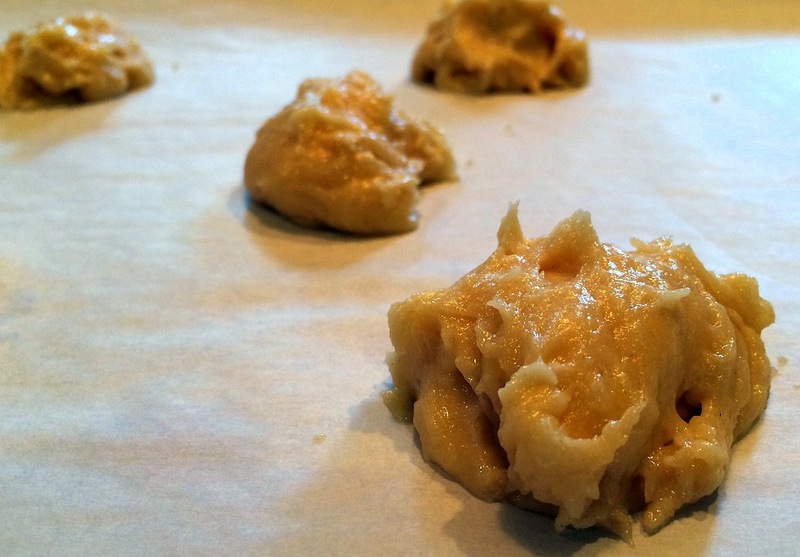 Drop from a teaspoon onto a greased or parchment lined cookie sheet. Bake 8 to 10 minutes, until the edges have some color. I just love Cat Stevens! How fun! And I love Reading Terminal. Whenever I visit my daughter we always head over. My biggest regret when I visit, is that I don't have a kitchen to cook in. They always have so many goodies i want!